The Lexmoto Enigma - The mysterious new 125cc scooter model. 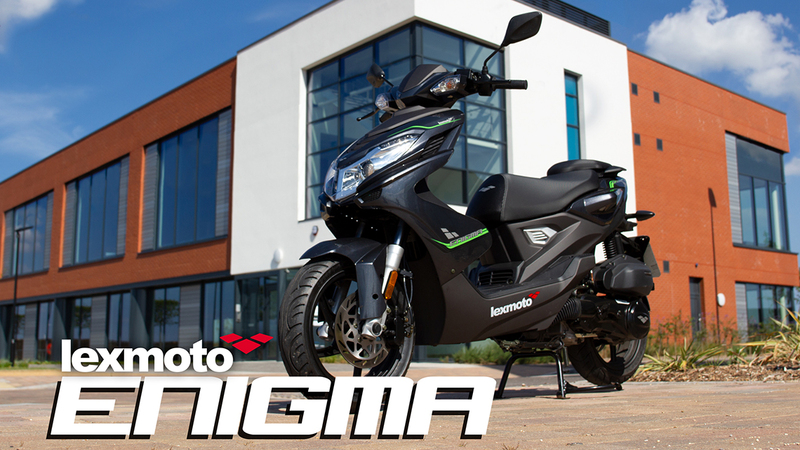 Lexmoto are thrilled to welcome the Enigma as its newest model to join its 125cc scooter range. The Enigma truly epitomises value for money as you can get this stylish bike, loaded with features for only £1499.99 RRP! If you're wanting to unravel the Enigma for yourself, it is currently available to order from any of our Lexmoto dealers. With over 130 dealers based nationwide, contact your local dealer today.